After using a boxed curriculum and constantly jumping off the schedule, I decided it was time to rethink my approach for history and literature. The thought of planning my own history curriculum seemed daunting, but the more I looked at it, I knew I needed to do it. You know what? It's not that hard to plan your own history curriculum. Really it's not. Keep reading and you'll see that you can plan your own history curriculum too. History is often done in 4 year cycles: Ancient, Medieval, Reformation, and Modern. You need to first choose which period of history you're going to work on. It's best to start with ancient and work in order, but if you've been using a boxed history curriculum, you may prefer to start with the next period. We've been using Story of the World Volume 1 for our ancient history studies. It's enjoyable for me as the teacher to read and Jonathan enjoys the stories. Note that there are extra activity books and options that are available for these spines. They are not “required” but you may find them helpful. We have been using the activity guide for Story of the World Volume 1, but we don't do every activity suggested. Just do what your kids would enjoy and best reinforce the material for their learning style. This step is probably the most daunting part of the whole process. There are a number of great resources for finding great read-alouds and readers for your chosen period of history. 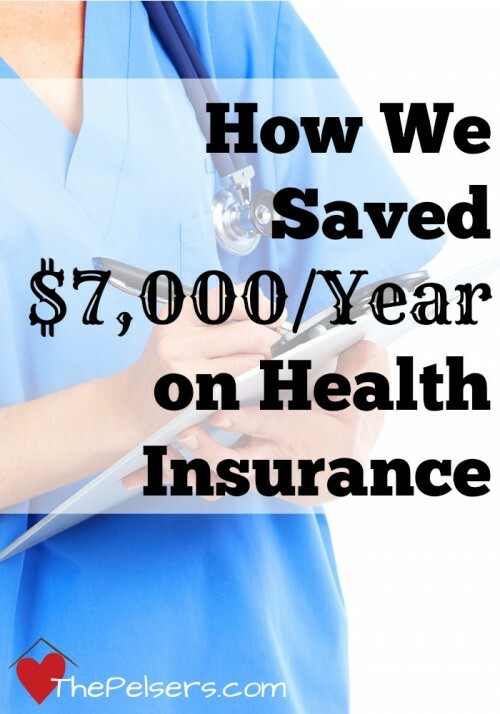 Don't feel like you have to cover everything, especially if this is your first time through the time period. If you start in 1st grade with ancient history and follow a Classical or Charlotte Mason model, your child will go through all of history three times. They'll go more in-depth and cover new things each time they cover a historical period. First, you'll want to match up your read-alouds and readers to the corresponding chapters in your chosen history spine. Next, use your history spine as your guide. For example, Story of the World Volume 1 has 42 chapters. Depending on your yearly schedule, you'd need to cover about one chapter each week to finish in a 36 week, 180 day school year. Some weeks, you'd need to do 2 chapters. Once you see how the spine schedules out, add in your read-alouds and readers. You may need more than one week to finish these books depending on their length. You likely won't have read-alouds and readers that correspond with each chapter so just plan to keep reading while moving on to the next chapter in your spine. Now that you know what needs to be accomplished each week, spread it out across the week. Do you do history every day? Two or three days each week? Determine what works best for the learning styles of your kid(s) and spread out the work in a way that works best for them. 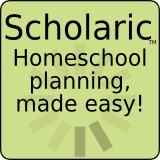 Here's where my favorite planning software comes in: Scholaric Homeschool Planner. It's like a paper planner, but much easier to move things around. No scribbles or white-out needed! 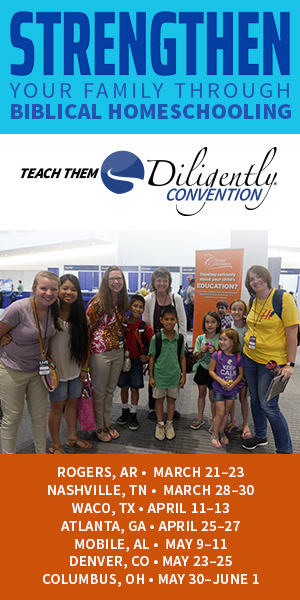 Plus it's created by a homeschool dad who understands the struggles of lesson planning. When I plan with Scholaric, I first put in anticipated breaks and days off. Then I can put in the spine readings using reoccurring lessons. After that, I add the read-alouds and readers to match up with the spine. If we get off, I can easily use the bump feature to move lessons forward or backward. I usually work in 6-18 week segments to make scheduling simple. To make this even easier, I've compiled all of this information along with some planning pages and additional printables. Click on the download button to get your copy. 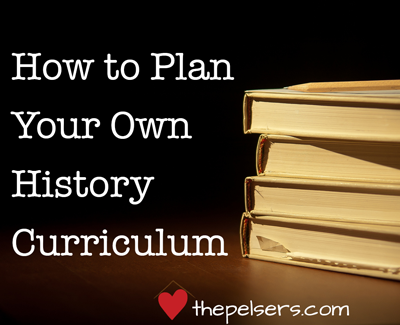 You CAN plan your own history curriculum! After clicking download, the post page will refresh. Check your email for the download link. Be sure to check your spam if it doesn't arrive shortly. 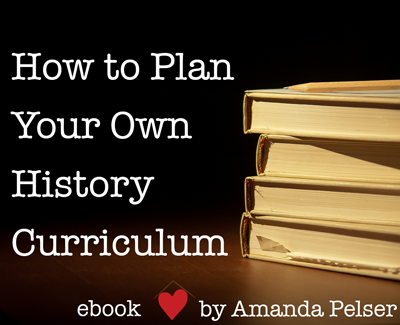 Printable planner to guide you through creating your own history curriculum. That's it! Read, relax, and enjoy studying history. Do you have a resource that you think should be added to these suggestions? Leave it in the comments for me. Questions about planning your own history curriculum? Let's chat in the comments! 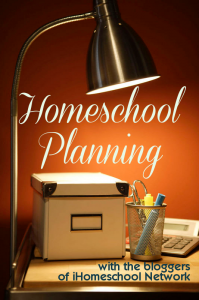 This post is sponsored by Scholaric Homeschool Planner and a part of the iHomeschool Network's Round Up of Planning Guides. This post contains affiliate links. Heritage history has great living books. You can read online or purchase the ebooks. Thank you for this great post! History is the one area where I feel most inadequate to teach my children. You’ve really laid it out in an easy way that makes a subject that is so daunting much easier to get a handle on. Thank you! You’re welcome. We love history here so I’m glad we could help. Videos, and movies would have been a nice addition. We’ve used a lot of video resources in history to give a change of pace here and there. Good point. Have any favorites I should add? Into the West was esp nice since it includes dates and a timeline with each segment of the miniseries, a lot of the WW2 movies that predate my birth, we also love a lot of the History channel DVDs but I have to spend some time watching them first to make note of questionable items on them we will have to discuss. One such item was Cheryl Crow stating the south fought only over slavery and that the confederate flag was hate speech. We used that as an opportunity to discuss how to evaluate someone’s viewpoints based upon their area of expertise and why producers should be more careful about whom they use in their programs. I’m trying to find readers to add on to Story Of The World. The ones suggested are a little too young for my daughter – don’t get me wrong, she enjoys them but I think she’ll love books more at her level. I noticed Sonlight uses SOTH for 7th and 8th, have you purchased their readers before? I know their readers tend to overlap for LA and History, I kinda just want to pick up what I need. I used Sonlight P3/4, P4/5, and Core A. When I found we kept leaving the schedule and not really using their activities, I started picking and choosing from their reading lists. The Sonlight website is one of the first places I go to when looking for readers and read-alouds. I don’t usually buy from them any more, but the lists are a great starting point. Another great resource is Timeline of Classics, linked to in the post. Each of the resources on the list is marked with an age level – elementary, middle or high school. A must have is “All through the Ages: History through Literature Guide” by Christine Miller. The first half of the book covers creation through 2000 and then the back half is by geographical area. Each time period is broken down by grade level 1-3, 4-6, 7-9, and 10-12. From there it is broken down into overview, specific events, biography, historical fiction, literature, and culture. You couldn’t read every book in a lifetime, much less find them all. But wow, you are sure to find something you are looking for. I love this explanation on how to create your own history curriculum. I’m always drawn towards history curricula that combines biblical with history. Simply Charlotte Mason, Heart of Dakota. Do you have any suggestions or resources that would help with that? Our favorite has been Mystery of History from Bright Ideas Press. There are 4 volumes. Biblical events and important things in church history are included alongside other historical events.